Dr. Harvey Alan Zarem, a world-renowned plastic surgeon and native Savannahian, age 83, died Sunday, November 1st, 2015, surrounded by his loving family at his home in Savannah, Georgia. Harvey was born on February 13th, 1932 at the Telfair Hospital in Savannah to parents Harry A. Zarem and Rose Gold Zarem. He attended prep school at Phillips Academy in Andover, Massachusetts and graduated from Yale University in New Haven, Connecticut, where he was Chairman of the Junior Prom and member of the prestigious senior society Scroll and Key, before embarking on one of the most storied careers in plastic surgery. After medical school at the Columbia University College of Physicians and Surgeons in New York City, New York, Dr. Zarem was the Chief Resident in General Surgery at the Harvard Medical School in Boston, Massachusetts before completing his surgical training as a Resident in Plastic Surgery at the Johns Hopkins Hospital in Baltimore, Maryland. Dr. Zarem then joined the faculty of the University of Chicago as Professor and Chief of Plastic and Reconstructive Surgery, a role he held for 7 years before leaving for Los Angeles, California to serve in the same role at the UCLA Medical Center and School of Medicine for 14 years. He then opened a private practice in Santa Monica, California, which he continued in Savannah when he returned to his hometown in 2011. Widely regarded as the “Dean of Plastic Surgery,” Dr. Zarem pioneered numerous techniques commonplace in the medical field today, including liposuction and reconstructive post-cancer surgery of the breast. He also produced seminal treatises on eyelid surgery and treatments of hemangiomas (vascular malformations) in infants and children. Aside from his outstanding clinical practice, he trained over 50 leading plastic surgeons in the United States and abroad, and his research laboratory produced valuable information on microcirculation. He gave countless university lectures, international presentations and radio interviews. His talents were sought by movie stars, Hollywood elite, and leaders from around the globe. Early appearances by Dr. Zarem on the television show Extreme Makeover helped to make the show successful. Dr. Zarem maintained a classic view of the practice of medicine and made many efforts to protect the field of Plastic and Reconstructive Surgery and its image. He was famously interviewed on CBS’s 60 Minutes where he exposed fraudulent plastic surgeons advertising in the Los Angeles area, about which local authorities were doing nothing. Later, the California legislature voted to allow dentists to practice plastic surgery and the bill was vetoed by the Governor, largely due to lobbying efforts by Dr. Zarem during his tenure as President of the California Society of Plastic Surgeons. Dr. Zarem was an avid sailor, tennis player, photographer, ham radio operator, fly fisherman, hunter, and outdoorsman. 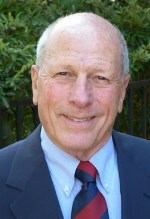 As a lifelong educator, Dr. Zarem happily volunteered his expertise and countless hours of his free time to the Los Angeles City Fire Department’s Auxiliary Communications Service, the Beverly Hills Police Department, the Beverly Glen Community Disaster Preparedness Program, and as a Major in the Georgia State Defense Force, to name a few. Harvey is survived by his wife Beth of 34 years; six children, Hal, Melissa, and Allison by his first wife, and Kathryn, Mikey, and Robbie by Beth; six grandchildren, and his brother, Bobby. He was preceded in death by his older brother, Danny. Graveside service is at Bonaventure Cemetery at noon on Thursday, November 5th. In lieu of flowers, remembrances may be sent to the Lewis Cancer and Research Pavilion – 225 Candler Drive, Suite 204, Savannah, Georgia 31405; or the charity of one’s choice. Our sympathies and condolences. Shahnaz and I mourn the loss of a great man and a good friend. Our sympathies are with you and your family. Harvey was such a dear man. I always loved seeing him at Forest City and enjoyed the few times we were able to shoot together..He was a gentle soul and will be missed by all of us at the gun club. I met Harvey through Jack Sheen over 35 years ago. He never forgot who I was and always greeted me warmly as an old friend. That was characteristic. He was very supportive of my career and a delightful guest at the New England Society years ago, when we lost power during an early summer thunderstorm and he had to give his guest lecture without slides. He never lost his sense of humor and never missed a beat. A true gentleman. I will miss him as a colleague but much more so on a personal level. mentor, a thoughtful and kind-hearted friend. We will miss his smile and warm countenance. Beth, I am so sorry to hear about Harvey, such a loss. He was such an amazing man, I am so thankful I got to see him in New Orleans after all these years. I pray for strength for you and your family to get through such a painful time. He was my chief and a great one. Harvey, my best friend, a Mensch above all else. What an imprint he left on all of us. My late father, J. Kenneth Chong, M.D. was a colleague of Dr. Zarem in Southern California in the 80’s. I was so fortunate to be able to learn about the scope of Plastic Surgery, while rotating as a senior medical student on his service at UCLA. His leadership and innovation in the specialty remains an inspiration. As my Chief, mentor, colleague, and friend, Harvey was a significant inspiration to me and countless other plastic surgeons. He had a wonderful sense of humor, and a special gift for teaching and encouraging others. He was a great credit to plastic surgery, and will always remain in my thoughts and heart. I remember how kind and helpful he was to me as a resident applying to plastic surgery fellowships. A great man and a great surgeon. He will be missed and our specialty lost a giant. My deepest condolences to his extended family. I’ll never forget Dr. Zarem was our visiting professor when I was a regional society president. He was a regular guy with a tremendous experience to share with us. We lost a great man and leader. No matter how good a joke I saved up for him, he would always top it with a better joke of his own. Few surgeons combine the skill, knowledge, wisdom and fun of plastic surgery. Harvey did this with ease, a twinkle in his eyes and a grand chuckle. Our generation will find your shoulders to be strong and wide. Thanks for the great ride. It was indeed a privilege to have Harvey as a Southern California colleague. He was a great leader in the field I love, and his program reflected his skills.His sense of humor was part of his core, and he was always “on”. It barely hid the fact that he was a closet intellectual..
With you, Beth, I celebrate his well lived-life,and give thanks for all the gifts he brought to his fellow beings. Beth – I’m so sorry for your loss; holding you and your family in the light. Beth, Allison, Hal, Melissa and the entire Zarem family, I was so so saddened to hear of Harvey’s passing. What a wonderful brilliant, funny dear person he was! I met Harvey in 1976 when I came to work for Mal Lesavoy at UCLA. I got to know Harvey well during my 14 years at UCLA, both professionally and personally. He was one of a kind! So many wonderful memories of the days at UCLA when we were all such a great team and had such good times together! He was brilliant ,kind, funny and a great Chief. He was such a big part of my youth and taught me so many things that I remember on a daily basis, and have used my entire life. I will never forget him and cherish that he was part of my young life. Always a twinkle in his eye and a smile. What a great man!! and a tremendous loss to all of us and the world! My heartfelt sympathy to all of you. I will hold you all close to my heart at this very difficult time. Beth and Kids, we have never met but I knew Harvey before I really even knew Harvey. When I entered my Plastic Surgery Fellowship at Hopkins, I inherited several of his patients who always asked about him and how much they trusted him and were pleased with their results. When we finally met, I fell in line with the patents impression. Through my academic career he humored and comforted me and gave me great advice. Retired, I still tell Zarem stories . A great life and model for all who follow. All of Plastic Surgery was elevated by his presence. All of Plastic Surgery is diminished by his loss. A true inspiration was he. Harvey was a great surgeon, an encouraging mentor, and a dear, dear friend. His wonderful sense of humor was matched by his insight and wisdom. I feel blessed to have worked with him and benefited from his presence. He will always be in my heart. Harvey Zarem touched the professional lives of a couple of generations of plastic surgeons. I was one of the last three applicants he accepted at UCLA and I have always felt a debt of gratitude to him for changing the direction of my life. He will be missed. Please accept my condolences. Harvey, will be missed by all pastic surgeons. You had the talk. God bless. Your first ps “resident with the golden hands” you said. May the Lord hold and keep you ! May The Lord hold and keep you. You had “The Voice of Plastic Surgery”. Your first ps resident,”with Golden Hands.”. I miss my sailing buddy and good friend. Beth… What an enormous void I feel in hearing of Harvey’s passing. He was larger than life and yet so very approachable at the same time. He was a friend and a mentor and I feel so incredibly lucky to have been able to spend time with him. His jokes always made me laugh… Even in multiple retellings of the same joke (I was his perfect audience because I never remembered the punch line!). I will miss him so much. My thoughts are with you and your family during this difficult time. As so many have said, his kindness and wisdom always with humor was so appreciated and so rare among his peers. He was a good man and an exceptional surgeon. program at UCLA. He was a great mentor and true gentleman. My patients thank him; my family thanks him; and I thank him. So long, Dear Harvey. You were my chief at the University of Chicago, and I was your very first resident…I think we were figuring it out together. Thanks for getting me started in my career, and especially thanks for moving to Los Angeles and encouraging me to come along. I’ll never forget your kindness and wisdom and humor, which everyone, particularly you, appreciated. When your jokes were corny, (which was much of the time) you were always your own best audience. You brought class and elegance to our specialty, and gave me a firm foundation and a world class model to look up to. I’ll miss you. My heartfelt condolences to Beth and your family. The mere thought of Harvey always brings a smile to my face. While I learned a lot of plastic surgery from Harvey, I learned more about life. A man of immense integrity with a keen eye for the essence of the issue and a succinct way of expressing it. Except for my Son Adam, born in Atlanta in 1979, Harvey was the first Southern Jew I met. He was my board examiner. Harvey, the examiner filled me with calm, confidence and laughter. I met him again in LA with Steve Teitelbaum, some 30 years later. Harvey not only remembered, but treated me as an old friend. His warm, wise, trustworthy and unique “Mentshy” manner, is something I will never forget. I will always remember Harvey’s warmth and kindness, and of course, his voice. I didn’t know him very well, but he was my Uncle, and I loved him very much. My deepest sympathy goes out to the Zarem family. Beth and kids, you all are in our thoughts and prayers. I always looked forward to and enjoyed shooting with Harvey, such a gentleman! He will be missed. My condolences. I am so saddened to hear this news, and send you and the others our love, sympathy, and support. I always get a smile when I think of the wonderful times we shared as the kids were growing up together at Oakwood School. I ALWAYS found Harvey with a warm greeting and a sincere interest. He was a King amongst Men, but never attempting to outshine anyone in the room. He didnt need too. His slight southern accent and manners always made him standout here in LA, and quickly put anyone at ease. We will miss him dearly, but have wonderful memories of our shared encounters, no matter how brief. Godspeed Harvey…. we’re better for having you in our lives…. Sincere condolences to the family of a man we all revered and loved. He had a positive impact on the countless lives he touched. Neal Handel. What a life! What a legacy! Condolences to Beth and the family. I am truly saddened by the loss of our Dear Dean of Plastic Surgery.
. He espoused the natural look and took the high road of advising and guiding the patient to choose the best approach for the individual to secure the intended outcome; always the most realistic appearance enhancing the individual’s natural endowments. Dr. Zarem helped me with several issues I had over the years not only in LA, but I followed him to Savannah because of his outstanding skills as a surgeon, he was an artist with a scalpel. He was a true southern gentleman even in Hollywood. He always stood out from the other surgeons, a silent powerhouse with gifted eyes and hands. I will miss his bedside manner and quiet confidence, a rarity in today’s medicine. I am forever grateful to have had him as my doctor and confidant. My heartfelt condolences to the family and those lucky enough to have know The Dean of Plastic Surgery. A great man, gentleman, friend and icon in our specialty. but his legacy will live on forever. Harvey was a friend and mentor , A wealth of practical information sensible and humorous aphorisms, and pearls of wisdom. His father and my gradfather were friends and classmates in college , his brother and my dad were roomates at Yale and Harvey was my uncle’s roomate at Andover and he removed my sisters appendix when a resident in Boston. It is roomered that I was concieved in the Zarem house hole while my parents were visiting his brother Danny . So, for me Harvey’s loss feels very personal and I will miss him and I mourn hs passing. BOBBY, I HAVE JUST LEARNED ABOUT HARVEY. AS YOU KNOW, WE WERE LIFELONG FRIENDS, AND I HAD HOPED TO GET TO SAVANNAH TO SEE HIM UPON HIS RETIREMENT, BUT FAILED TO DO SO. PLEASE ACCEPT MY CONDOLENCES. I WILL MAKE SURE MY FAMILY VIEW THESE OUTSTANDING COMPLIMENTS FROM SO MANY PEOPLE. SINCERELY, SPENCER CONNERAT JR., LAKEMONT GA.
Dr. Zarem had been on mind for quite some time since finding out through a mutual acquaintance last year that he had been ill. I am so deeply saddened by this loss. My heart and prayers go out to Beth and his family. I had the delightful pleasure of working for Dr. Zarem at both UCLA and in his private Santa Monica practice. What a majestic man! He was a truly gifted surgeon and I know he will be missed. Even now, living on the east coast, you say his name and all know him. I remember his beautiful, kind eyes, his wicked sense of humor…but most of all, I remember his uncanny ability to show reverence to others, regardless of who they were or where they came from. That is a rare gift that I have never seen before in others. It has been more than 16 years since I last saw him, but I never forgot him. I feel so blessed to have worked for him, known him, and to have watched his magic. To Beth and the kids, I am so sorry for your loss. I was a patient of Harvey. He performed 3 reconstructions on my right leg and was always eager to do more. He was full of ideas how to help me through a difficult surgical wound and scarring. I was so attached to this man who was so interested, talented and helpful. I always felt good after I saw him only now, today found out that he is no longer with us because I decided to look him up on line. I had been sorting through some business cards, found his and kept thinking about him. I was so hoping to make contact and found so many listings about him, but then came upon the Gamble Funeral site, my heart fell and I am so sad that I will never have the opportunity to visit with hm again. Condolences to everyone dear to him. I too was a long time patient of Dr. Zarem. I’ve known of his passing, but haven’t came across this site until now. He has done literally 36 of my 30 surgeries that I could remember. I’ve known him since I was 8 years old up to the last time I visited him in his Santa Monica office at age 29… I’m now 51. He was an awesome doctor!! And very patient with me, as I was a very rambunctious kid!! Lord knows I drove him nuts!! He was ALWAYS very kind to me! I’m glad I got a chance to visit him before he left to Savannah… When I told the receptionist who I was, he made time to visit with me, after so many years!! I’m thankful that I got to meet such an great person…!! I will never forget him and how he helped make my life a whole lot better!! My condolences to all his friends and family members!